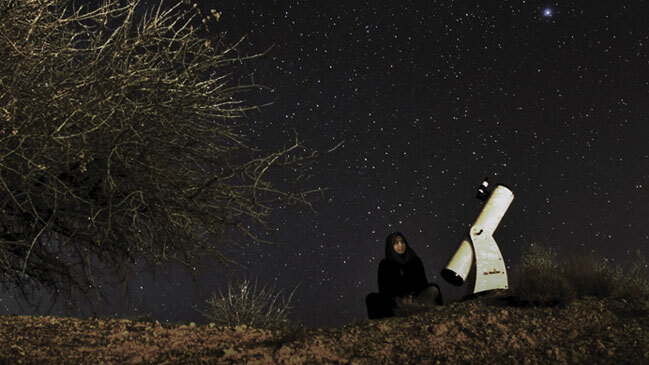 16-year-old Sepideh from Iran dreams of becoming an astronaut. She spends her days with her nose in an astronomy book and her nights gazing at the stars. Will she be able to pursue her dream, or will family traditions block her ambitions? Naming his film “a political thriller”, the director unravels the complicated international maneuvering that led to the war in Iraq. Guided by witnesses and whistleblowers we are taken into the very offices where the campaigns were conceived. Bert sits in the shades of a tree in Yo Park. Cassandra Warrior feeds her daughter Diamond Rose. Kassel Sky Little is at the rodeo. Lance Red Cloud hangs out behind the gas station at night. It is summer in Pine Ridge Reservation, South Dakota, USA. Katja Adomeit is producer of Daniel Joseph Borgman’s The Weight of Elephants in the Berlinale Forum.